After being devastated in the third World War (known as The Third Division), Japan was divided in two. Several years after the end of the war, a crime organization called Vischio has taken control of the destroyed city of Toshima (formerly Tokyo, Japan’s capital city), where they are holding a battle game known as Igra. Igra is a battle game held in Toshima that may result in the murder of participants. To participate, one must meet with Arbitro and tell him their reason for their decision. Upon meeting with Arbitro, participants are given five dog tags, each engraved like a card in a standard deck of playing cards. One tag must hang from the participant’s neck as proof of participation. Participants must then put their lives on the line to collect others’ tags, with the goal being to collect a Royal Flush. If a participant collects a Royal Flush set of tags, they earn the right to challenge the Il-re in battle. Battles end when one party either dies or lets their back touch the ground. The winner takes the loser’s tags and is free to do as they please to the loser after that, often resulting in the loser’s death. The game’s main character, a young man named Akira, is falsely accused of a crime. Once arrested, a mysterious woman appears before him, offering him freedom if he agrees to participate in Igra and defeat Igra’s strongest man: the king, or Il-ra. The story follows Akira’s life in the harsh, lawless Toshima as he fights both to survive and to unravel the mysteries developing around him. The game’s protagonist. Akira is the cool and silent type. 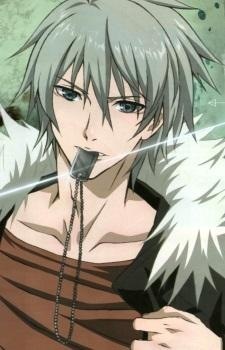 He has grayish hair, blue eyes, and stands at 172cm tall. Likes omelet rice flavored Solids. He grew up as an orphan along with Keisuke. Akira was an undefeated champion of the street fighting game "Bl@ster", where he participated in the RAY district under the name LOST. He was accused of murder and sentenced to life imprisonment, but Emma got him out of jail so he could participate in Igra, which he does with slight reluctance. He usually acts cold and uncaring, but has a very naive side to him. His weapon is a knife. Togainu no Chi is a Japanese BL visual novel created by Nitro+chiral. The plot centers on Akira, a young man who was made to participate in a deadly game called "Igura" in post-apocalyptical Japan in exchange for being freed from jail. His goal is to beat the "Il-Re", the strongest person in Igura. 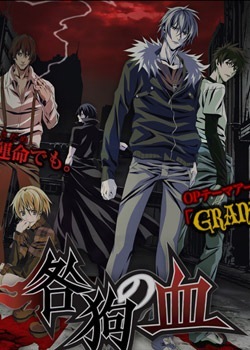 The game was original released on PC as Togainu no Chi in 2005, with a PlayStation 2 version titled Togainu no Chi TRUE BLOOD being release on on May 29 2008. 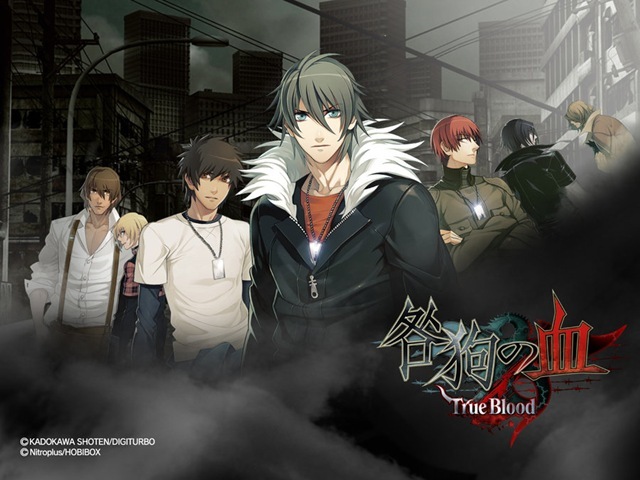 The game is also scheduled to be released on the PSP as Togainu no True Blood Portable on December 23, 2010. Akira, the series protagonist, is a participant in a fighting tournament called "Bl@ster," after a successful battle, he retires to his quarters. He’s awakened from sleep when a group of police break into his room and pin the blame for a recent murder on him, a crime which carries a sentence of life imprisonment. With no way to defend himself against the charges, Akira waits in fear for his life. He’s visited in jail by a woman named Emma who offers him the only alternative to a life spent in captivity – join a higher-stakes fighting competition, and defeat the man at the top. Faced with no other option, Akira gathers his things and leaves for the city of Toshima, where the Igra competition is held. He has nothing more than the clothes on his back and the dog tags that peg him as a participant, so when some thugs show up to harass him and take a hit of a drug giving them super powers, he has little recourse. He’s only saved by a man dressed in black, who brutally murders his attackers with his sword. The man threatens Akira as well, only letting him leave with his life when Akira shows too much pride to beg for his life.